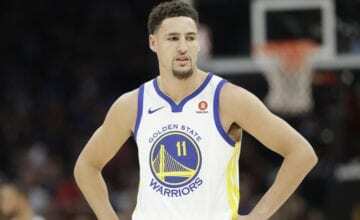 Kevin Durant can’t believe that his Golden State Warriors teammates Klay Thompson has never been selected in an NBA All-Defensive Team in his career. Kyrie Irving would probably think it’s an Illuminati conspiracy, but Kevin Durant says that there is a problem with the voters. Durant believes there is no doubt that Thomson deserves recognition. 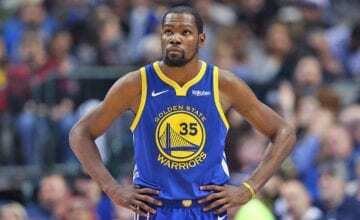 “Yeah, but the people that vote on that don’t really know the game,” Durant said, per Connor Connor Letourneau of the San Francisco Chronicle. Thomson has long been the underappreciated Splash Brother. 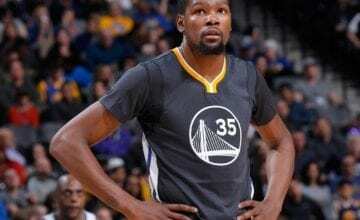 His offensive is overlooked in favour of Durant and Stephen Curry, and Draymond Green’s antics overshadow him defensively. His defensive prowess is on constant display though, no more so than on Saturday’s win against the Oklahoma City Thunder. The five-time All-Star held Russell Westbrook to seven points on 2-of-16 shooting, 0-of-7 from three and five turnovers. This season MVP favourite James Harden has also had problems against the Warriors, shooting a measly 39.7 percent in their three meetings. Durant isn’t the only Warriors star who believes Thompson is underrated, Draymond Green is an advocate too. 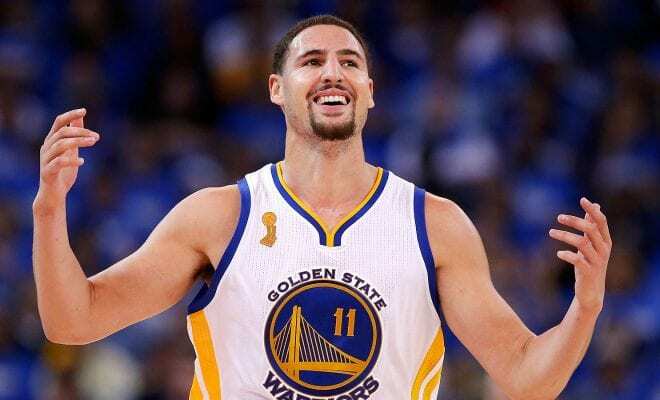 “There’s not many guards that is better than Klay defensively,” Green told Mark Medina of the Mercury News. Thompson missed out on a place in last year’s All-Defensive Team in favour of Victor Oladipo, Jrue Holiday, Dejounte Murray and Jimmy Butler. Maybe Kevin Durant should make some more burner accounts and petition the NBA to include Thompson on this year’s team.